The 38th Annual Conference Was Awesome! I feel very lucky and grateful that I got started in this journey many years ago. I am amazed at the love that the WeAreCousins community showed me at the conference in Austin. I printed 90 WAC tags and guess what, they were all gone by early morning on Friday. We also took a group photo and I will post that photo soon. Unfortunately, not all members of WAC that were in attendance participated since it was a last minute decision, by some of our members, to have a group photo. I also want to take the time to thank Julia Lopez whom invited me to be a speaker. 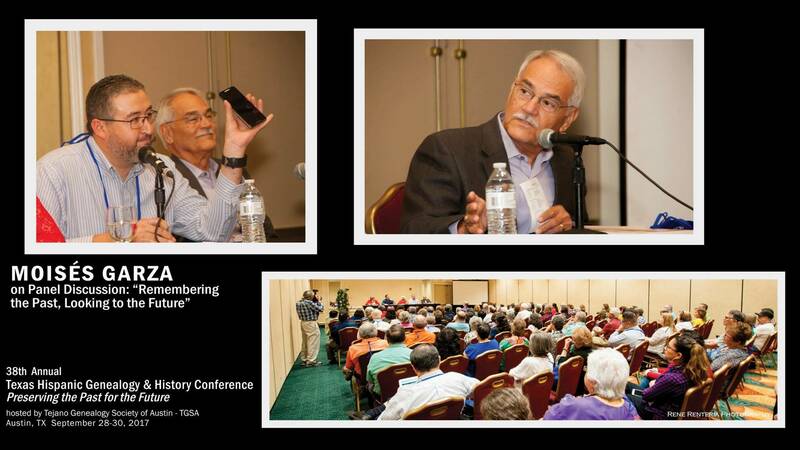 I was fortunate that I was able to make two presentations “DNA Testing for Genealogy” and “Bringing the Community Together: The Benefits of Social Media and Why You Should be Using It”. It was also an honor to be included in the Pannel Discusison with Dr. Tijerina, Anthony Delgado, and Dr. Crimm. Sylvia stern did an excellent job in moderating the discussions. If you attended the conference and took photos please email them to me. I want to put them all together on our blog on permanent gallery for all of our cousins to enjoy. So for right now here are some photos that Rene took. Thank you Rene for these amazing photos. You can check Rene’s work here. When I attended my first conference I never thought that I would end up as a speaker one day. I remember that it was back in 2014 and it was in McAllen and fell in love with all the presentations that I attended. I made it a point to attend the 2015 conference in Laredo which was awesome since I meet more cousins. Then the 2016 conference was in Corpus Christi helped me make and build more relationships, and this past one was in Austin and meet a ton of new cousins from the WeAreCosuins Facebook Group. On all of these conferences the best part to me, is talking and meeting so many cousins. If you have never attended one, make sure to start making your plans early since this past conference got sold out. After you attend for the first time you will be hooked. FYI, the next one will be in San Antonio and will be hosted by the Bexarenos Genealogical Society. Moises, in 3 years you have not only become a speaker but taken us old timers into those scary areas—the internet and DNA! Thank you for leading the way. 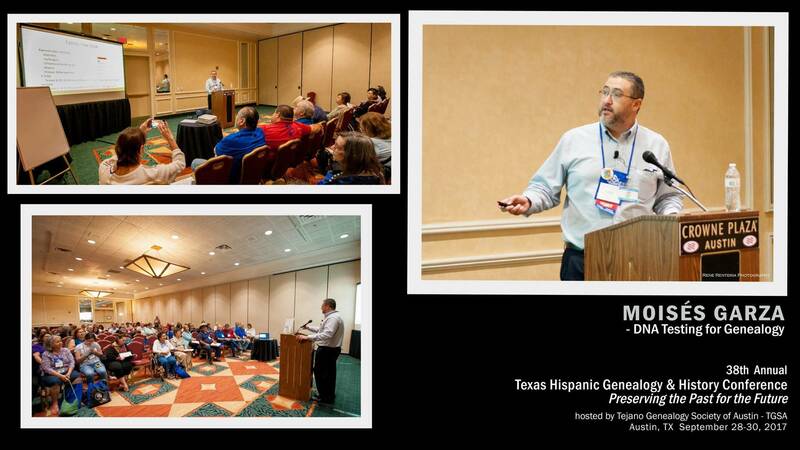 Your presence as a speaker, vendor and attendee helped make our conference a success. Yes, Rene is a wonderful photographer…and one of TGSA’s members. I enjoyed talking to you and seeing you just a brief moment. I know you had your hands tied helping out in making the conference a success. Maybe Rene could take our group picture next year in San Antonio. Hi Moises! It was our pleasure to host you… I’ll let you in on a little secret… You have become an integral part of these conferences! No conference would be complete without you! Your dedication to connecting folks on social media has advanced us tremendously. We do appreciate you more than we say – please know that! And thank you so very much for helping us promote the 38th annual conference!!! Julia, I had a ton of fun and networked with many many primos and primas. Thank you for your kind words.